ClearSpaceMap is a sensor independant method to represent the free space, for example surrounding a car. For every solid angle the distance of the closest measured obstacle is displayed. The ClearSpaceMap offers a unified representation for different measurement methods, which facilitates the comparability between them and enables redundant measuring in the future. The CVF (Computer Vision Framework) is a framework for image processing developed by Myestro. Written in C++ it provides the single steps of image processing in separate modules. These modules can be combined and expanded easily, for fast development of solutions to individual problems. The high quality of the single modules is maintained by continuous testing. The algorithms used are as well optimized for special hardware as there is a version running on generic hardware. The CVF can be installed on many target platforms. Using the same source code for each platform development can be done easily using a Windows PC. Supported platforms reach from embedded hardware like the S32V (NXP vision processor) through FPGA SoCs up to Linux and Windows PCs. 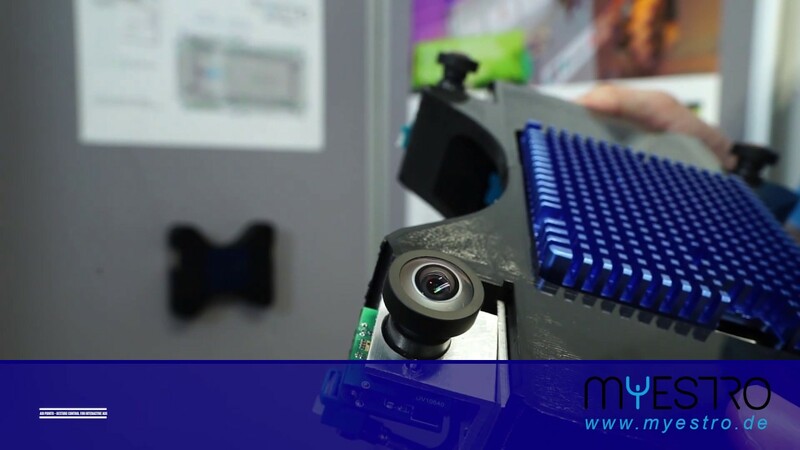 Since a good calibration is the prerequisite for a precise measuring camera, Myestro has developed the KIEV calibration system. The KIEV calibration system calibrates cameras highly precise and fast. Classic cameras can be calibrated as well as fisheye cameras. The system calibrates the camera within a few seconds. This is significantly faster than the standard OpenCV calibration. The KIEV calibration system achieves reproducible calibration quality. The KIEV calibration system determines the position of the optical centre during calibration. Stereo cameras and other camera arrangements are calibrated extrinsically at the same time. The KIEV calibration system generates a vector field, which maps distortions with a subpixel precision and prevents model errors by default. The calibration can of course be requested as an OpenCV calibration.